A woman descends into insanity as she struggles against the institution that confines her. 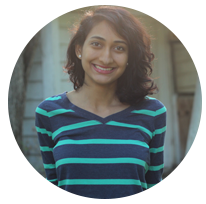 Nidhi Reddy is a recent graduate of the University of Texas at Austin, with degrees in both Mathematics and Radio-TV-Film. Her animation, The Yellow Wallpaper, was an official selection of the 2014 Austin Film Society ShortCase, 2013 London Feminist Film Festival, 2013 Portobello Film Festival in London, the 2013 Longhorn Showcase, and was the grand prize winner in two student film festivals. She is currently working on multiple projects, one of which is her next animated short tentatively titled “Rajas & the Wolf Girl.” Despite spending a large portion of her time in the vicinity of a computer, Nidhi also enjoys kayaking, road trips, and drawing cartoons of people she knows.